Since 2008, we have been running a monthly book group at Browsers Bookshop. We've read a lot of books in that time, and we've collected the titles for you to look back on here. There are usually 10 meetings each year - we tend to take a break in August and December - on the last Monday of each month. Occasionally Bank Holidays get in the way, so take a look in the shop window or on this site to be sure of the next date. Led by Catherine Larner, it is an open meeting which regularly attracts around 20 people for friendly discussion. There is no need to reserve your place, just arrive in good time to find a seat and purchase a cup of coffee or glass of wine, with a complimentary piece of homemade flapjack! We start promptly at 8pm and finish by 9pm when there is time to browse the shop and purchase the next month’s title. Everything bought on the night carries a 10% discount. 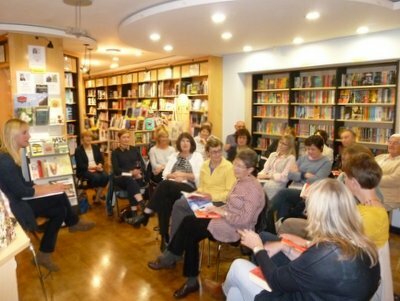 While there is no charge to attend the meeting, we hope that you will purchase the book from Browsers, lending your support to your local independent bookshop!